Control your home from your phone, computer or tablet. We at Castle Electrical Services like to stay ahead of the pack and so should you. If it's to show off to your friends, save on your electricity bills, or just for peace of mind, our home automation systems can suit all your needs. No mess, no rewiring circuits, and quick installation. Just look through our site and call one of our friendly advisers to find out how to get your home into the 21st century. The Electricity at Work Regulations 1989 require that any electrical equipment that has the potential to cause injury is maintained in a safe condition. If you feel overwhelmed by your current providers or just want to try someone new, give us a call and we will do our best to please you; we will even do the tests out of working hours for the same price! We are a company that strives for perfection. Whatever your needs are, we will make sure you are 100% satisfied, not only in our work but from the start right through every stage until completion. Our staff are all Napit approved and trained to the highest standards. We cover almost every type of electrical installation from the small to the very large. Our aim is to please you, and our high standards and fair prices should do just that. Please take your time and look through our website or give us a call and we will do our very best to help you. 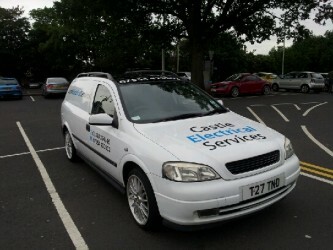 Castle Electrical Services are an electrical company based in Dudley, Stourbridge and the general West Midlands. 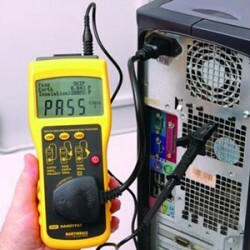 We specialise in the testing and installation of a variety of electrical equipment with over 25 years experience. Our local, friendly staff consists of fully qualified British standard trained electricians who work to the highest of standards. We have very competitive prices and offer a free quotation on all our services. Go on, just give us a try, we promise not to disappoint. 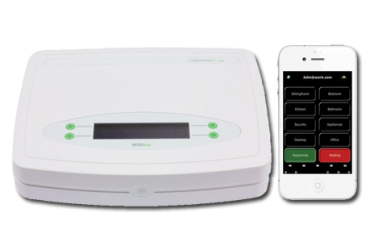 Have full control of your home from your mobile phone (iPhone or Android), tablet or PC. Feel safe in the hands of our full trained, full qualified, Napit approved electricians. We offer free quotations with no obligation for any type of electrical job. See what we do.